Women’s jeans are so boring. Are we that picky that designers no longer want to take risks on us? I’m extra particular. I'll search for hours for the right pair of shoes and denim. I never make a decision based off the first pair I see. I know it’s an annoying habit; which is why I never ask anyone to accompany me shopping. Recently, I was looking for designer jeans for women and landed on True Religion’s website.... To my surprise, I was impressed! It wasn’t the women’s jeans that impressed me however; it was the men’s jeans and the website! I thought I would be totally uninterested and greeted with old school Western styled jeans; but the site has an awesome hip-interactive approach. Upon entering the site, you're greeted with slide show, after slide show of product placement. The images continuously glide across the screen. Real smooth. I can tell True Religion really values their consumer opinions. The wording on the site is tailored as if you’re conversing with a Sales Associate or Personal Shopper and the reviews only enhanced the coolness of the online store. 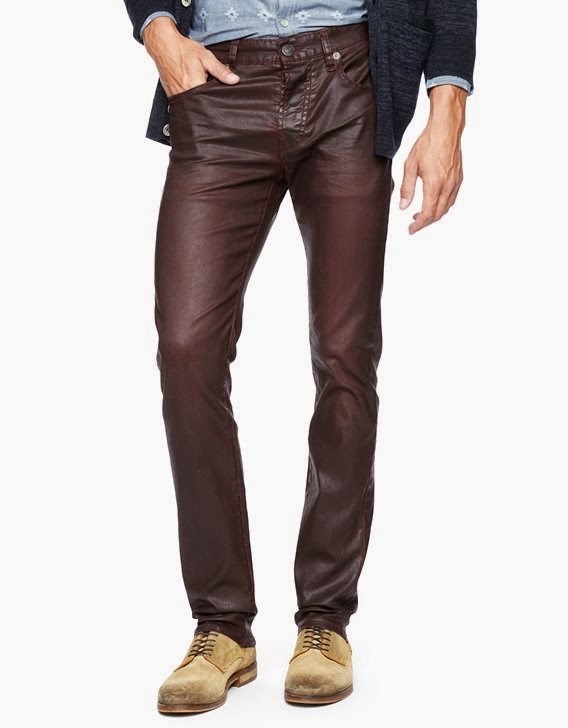 I clicked on one pair; the Ricky Straight Super T Men’s denim, and immediately went to see what consumers thought of these jeans; because they were just okay to me. There were a number of comments, but the first was so cute and funny…. 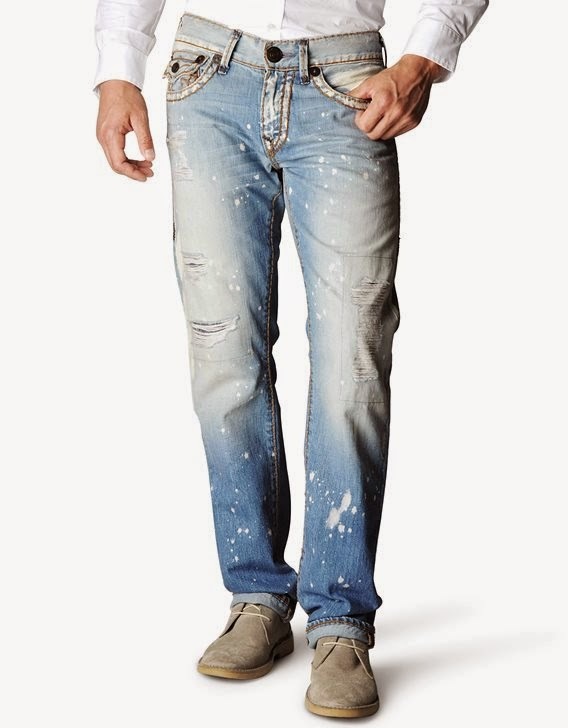 If this doesn’t make the retailer appeal personable enough to purchase these jeans; WHAT WILL? I did like a few of the jeans however; like The Coated Men’s Runner. 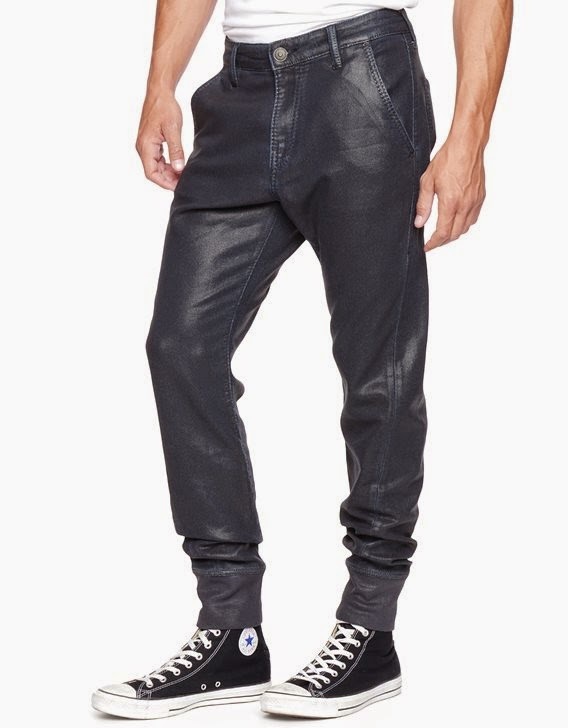 These are a jogger/skinny jean combination. The color and nickel finish provides an awesome addition to the stylish piece. It’s cool that sweat pants and joggers are back in demand. I’m straying away from most jeans myself. Boot-cuts and flare are not really stylish anymore; and skinny jeans don’t flatter me. I have a slim build already. I’m kind of a Tomboy; I prefer joggers and boyfriend jeans. I loved the Men’s skinny jeans however. The Dean Tapered Coated Mens Jean and the Rocco Skinny Coated Mens Jean are really cool.